China has unveiled its public blockchain ratings. Although its impact remains to be seen, the idea seems to be rather solid. One thing to take away from these rankings is how Bitcoin is middle-of-the-pack. Surprisingly, Ethereum is in the lead, and XEM scores the worst of all 28 projects. A few days ago, the Chinese government made it clear they were working on a rating system. That system pertains to public blockchain projects and cryptocurrencies. A top 28 has been put together for the cryptocurrencies earlier this week. The list itself includes all of the well-known currencies, although the rankings look different from what people would expect. Three different key factors are included for every project: technology, application, and innovation. As some people might expect, Bitcoin has the highest score in the innovation aspect. That is not surprising, as it has the first-mover advantage. Any other currency on this list didn’t exist prior to Bitcoin. However, a strong innovation score doesn’t make Bitcoin all that great. These public blockchain ratings rank Bitcoin 13th out of 28, which is “average” at best. On the technology front, Bitcoin has the lowest score of the entire top 15. It receives a 39.4 percentile, which is rather shocking. When its scaling solutions come into play, that number may improve. Until then, it is the least technologically-adept project in the top 15, according to the public blockchain ratings. The world’s leading cryptocurrency is also lackluster when it comes to application purposes, although some projects score even fewer points. When taking all three sub-factors into account, there is only one project that really matters. Ethereum has the second-highest technology score, the best application rating and a decent innovation score. All of this combined for a total index of 129.4. There are five projects which score more than 100, including Steem, Lisk, NEO, and Komodo. There is a lot more to cryptocurrency than just Bitcoin or Ethereum. These public blockchain ratings clearly illustrate that point. Other prominent currencies in the cryptocurrency world are not scoring too great either. Ripple’s XRP is ranked 17th, whereas Litecoin is in 21st place. XEM Closes the list in 28th position, which is also somewhat surprising. All of this is in very stark contrast to the market cap of existing cryptocurrencies. Some projects in the market cap top 10 are not on this public blockchain ratings list. Notorious absentees are EOS and Tron. Neither of those has a working public mainnet blockchain, which may explain their absence. Community members show mixed feelings toward the public blockchain ratings. It is a bit on par with how Weiss Ratings issued their scores earlier this year. Those rankings also made little sense in some cases, yet the firm was convinced this is how the currencies shape up. 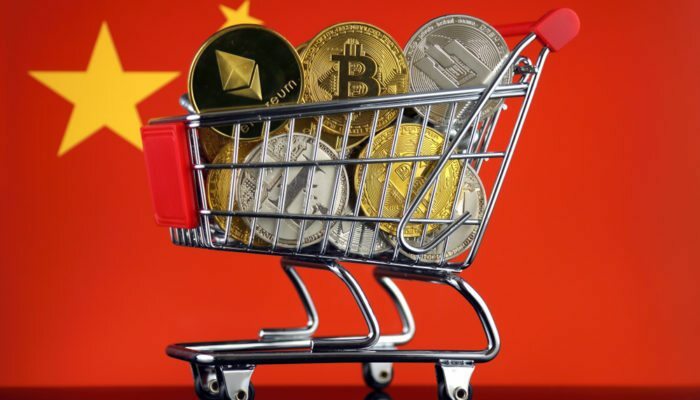 For the Chinese government to pay some positive attention to cryptocurrency is a big victory in its own way.